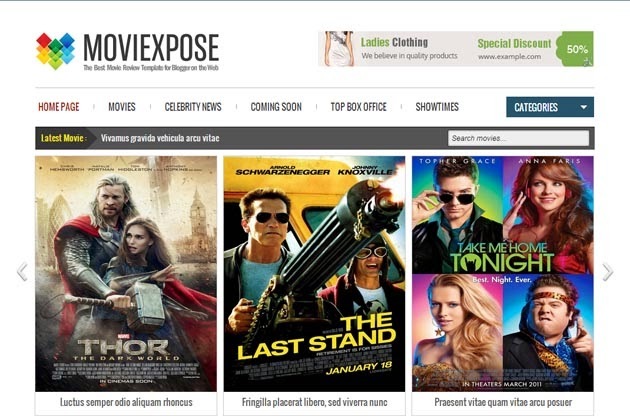 MovieXpose is a unique Entertainment Blogger template which is suitable for any type of cinema, movie promotion, Movie Reviews, blogs and movie communities no matter the size. MovieXpose Template comes with two designs - dark background and light background. It is ads ready, two view mode (List and Grid) width cookies and Rating widget inbuilt.